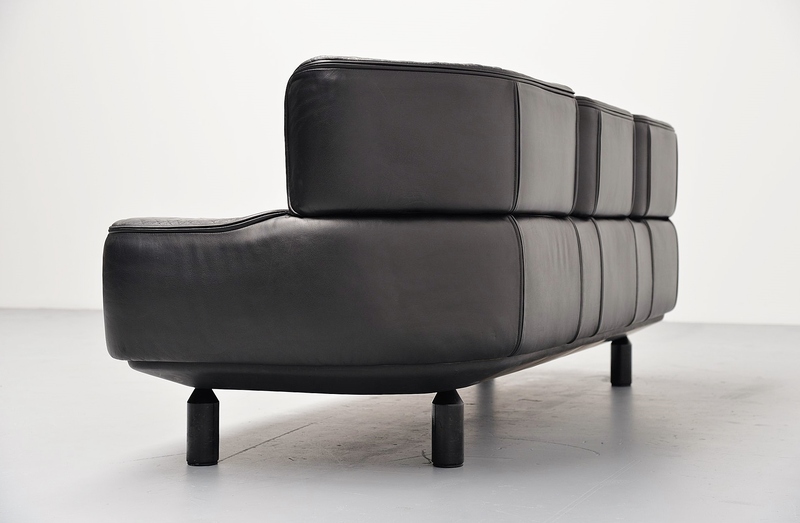 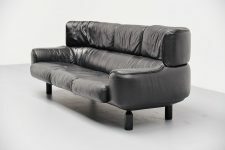 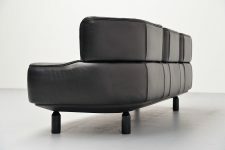 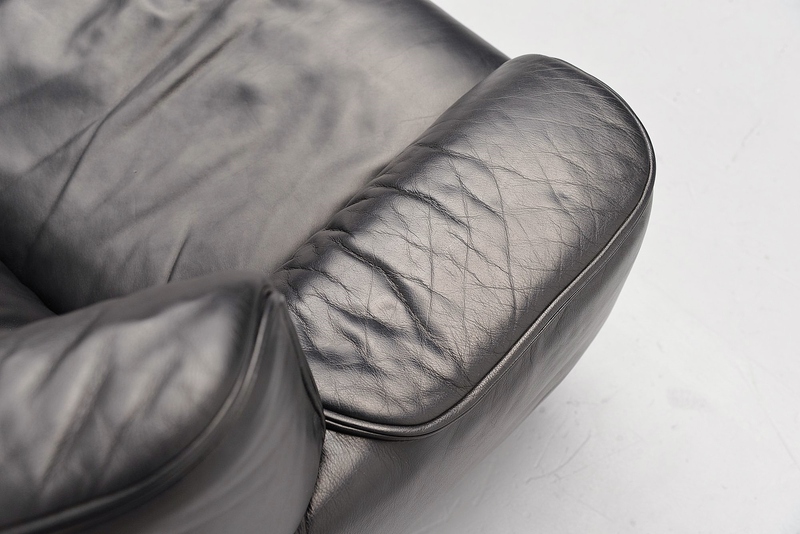 Amazing looking sofa set designed by Gianfranco Frattini for Cassina, Italy 1987. This set is no longer in production and was only produced for 1 year. I cannot find any reference on these chairs on the internet but they are documented in the famous Italian Reportorio book. 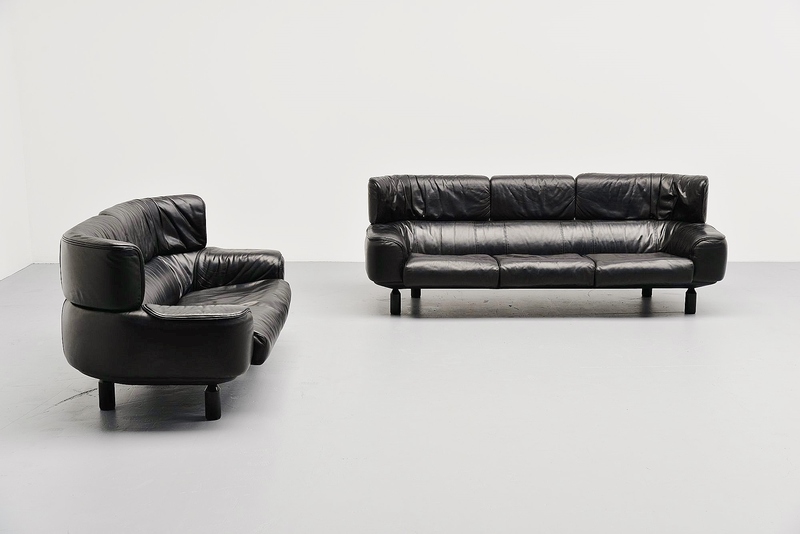 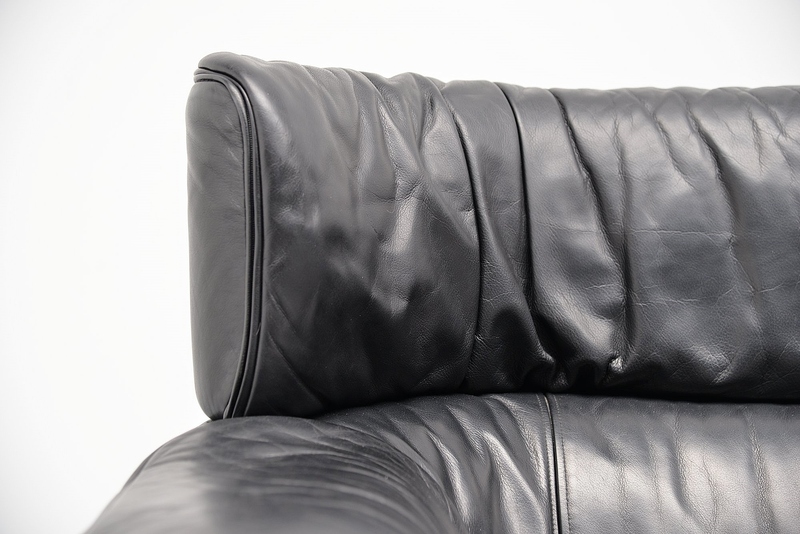 This set is made of thick black leather and have black lacquered wooden feet. 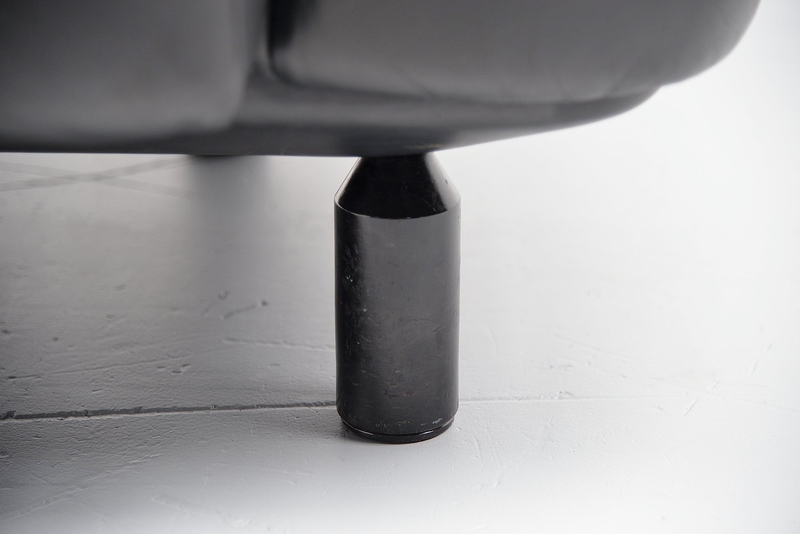 The inside is a metal tubular structure completely covered with foam for super comfortable seating pleasure. 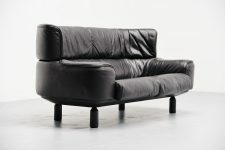 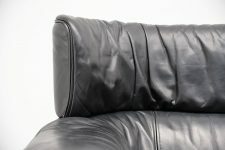 Set has a high comfort level and this is for a 2 and 3 seater sofa in the mix! 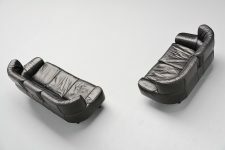 Amazing hard to find set!